The above picture is a lifesize werewolf prop available for sale at monstergalaxy. Foam filled head, resin cast tongue, glass eyes. u guys are idiots watch animalplanet there is a real one i hate people who luv them every night i can sense them hunting and trying to stalk me!!!!!!!!!!!!!!!!!!!!!!!!!!!!!!!!!!!!!!!!!!!!!!!!!!!!!!!!!! 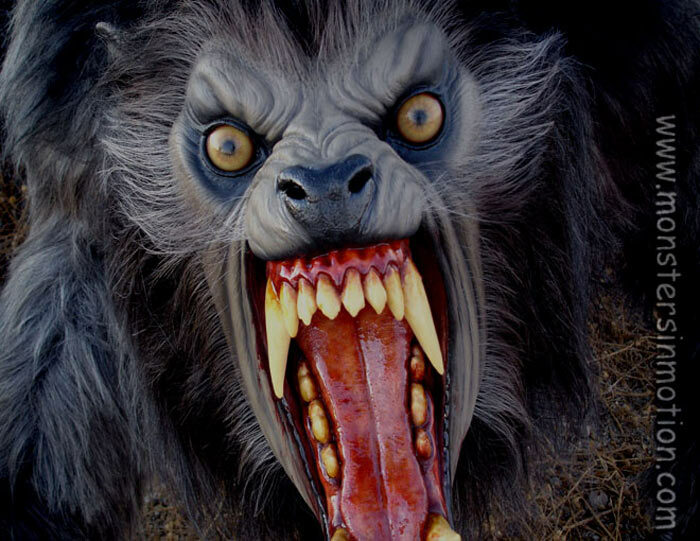 i have seen a WEREWOLF b4,,,,,,,,it was freakin scary,,,,,,it charged right at me!!!!!! *laughs* we can be a frightning bunch cant we. you must have meet a wild or new wolf. No such thing as shifting… Lies..
Dark… i think it is possable to shift, with the proper mind set, time, and pratice. i dont know if werewolfs are real or not. but im tring to see if thay are. once i find out. i will tale you. sarah. you lie. you dod not see a werewolf.lol.lol.lol.lol.lol.lol.lol.lol.i dont tick werewolf are real. but i wont to find out.lol.nooooooooooooooooooooooot real. well, shifting can be possible. i too am trying to find it out, if a human can do it, why not a non-human?